A bedtime rhyme with rattitude from Julia and Axel. This cute bandit will ambush your heart. 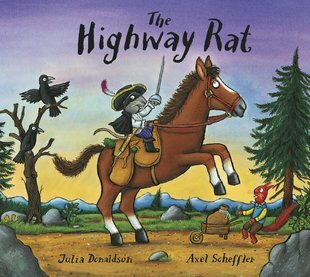 You may have heard of a Highwayman – but what about a Highway Rat? This rascally rodent steals nuts from squirrels. He even hijacks his own horse’s hay. Hold tight to your supper: no food is safe from him. 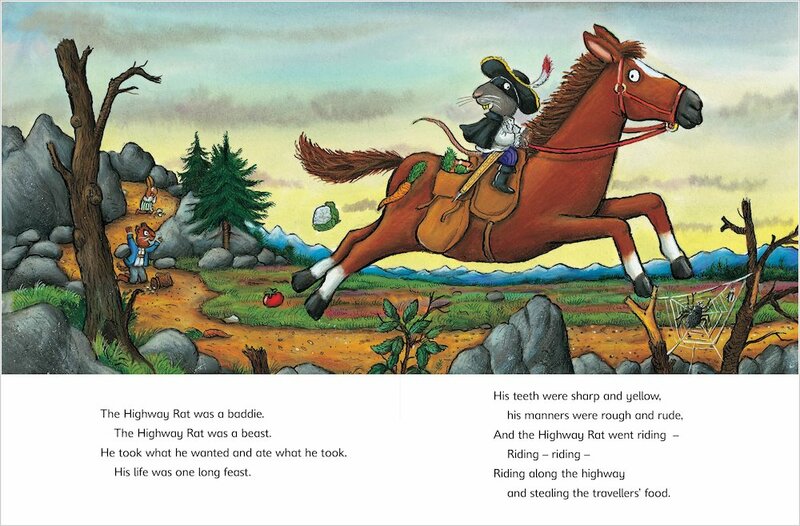 But when a cunning duck crosses his path, has the Highway Rat met his match? Now in a super-strong board edition, this rhyming romp brings you a classic new character. He’s furry, he’s adorably naughty and we want to give him a big hug. 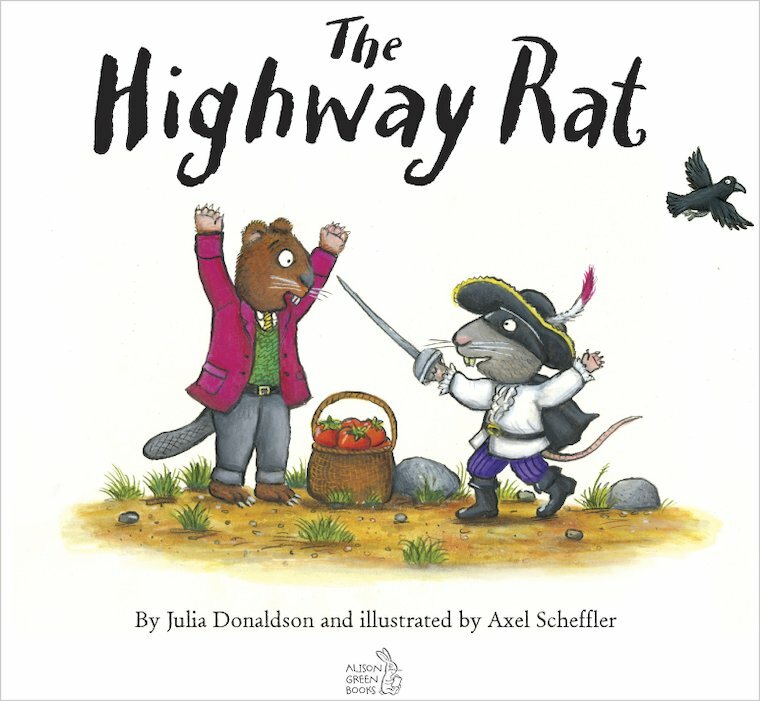 Here’s a picture of the dastardly Highway Rat for you to colour! 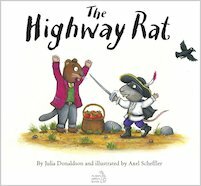 Download a free Highway Rat poster.